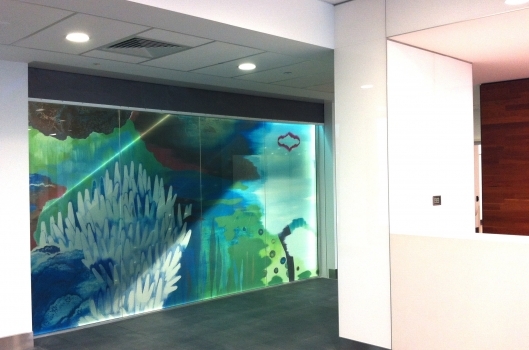 CLIENT Government of Western Australia: Department of Treasury and Finance, Building Management and Works. The interior design of the Rehabilitation Centre aims to create a space that demonstrates a commitment to human values and dignity beyond simply responding to functional needs. 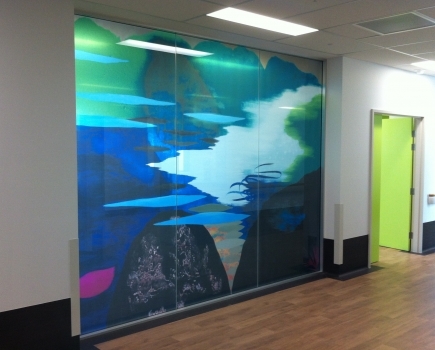 The artist was asked to provide an uplifting and healing environment, with interconnected spaces varied in scale and setting. 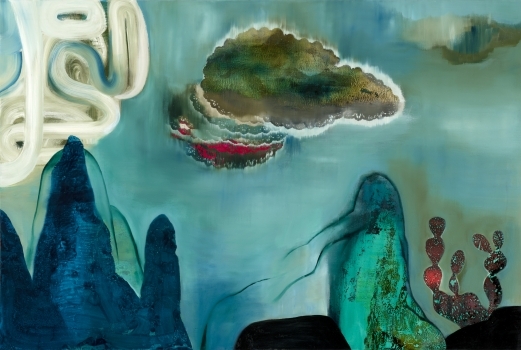 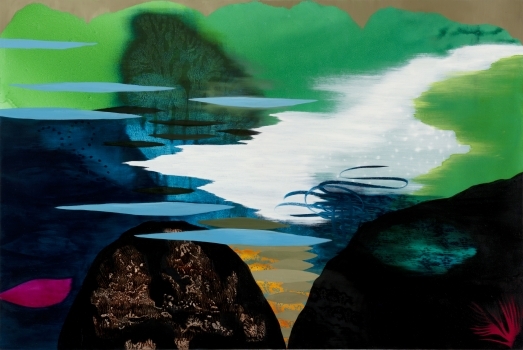 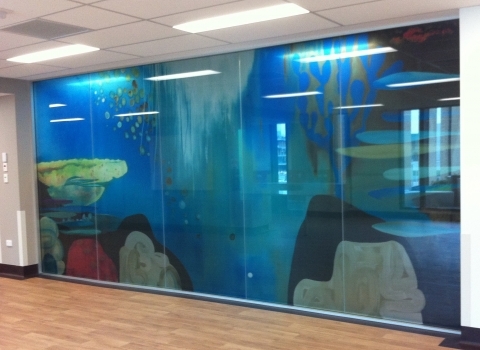 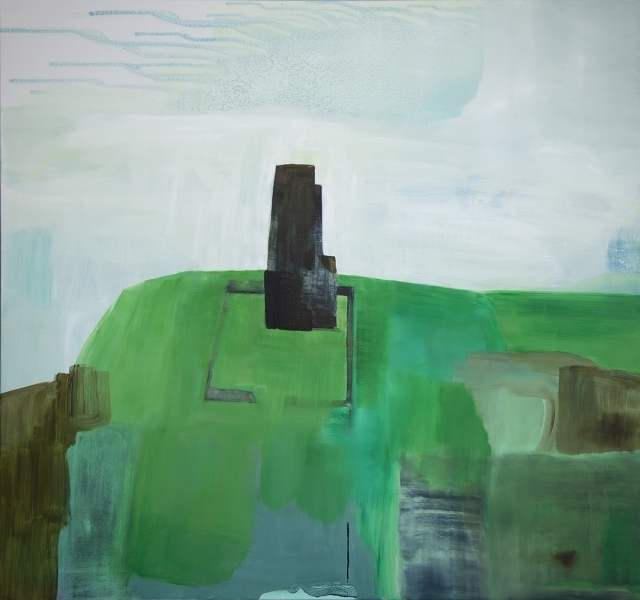 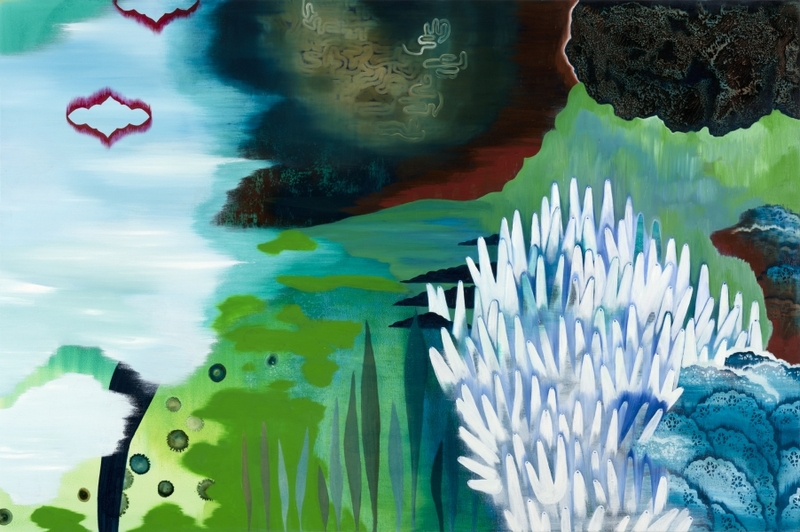 Abstract paintings, with ‘underwater’ themes, were created to be displayed in each of the client group wards: Spinal, Brain, Amputations and Neurological Injuries. 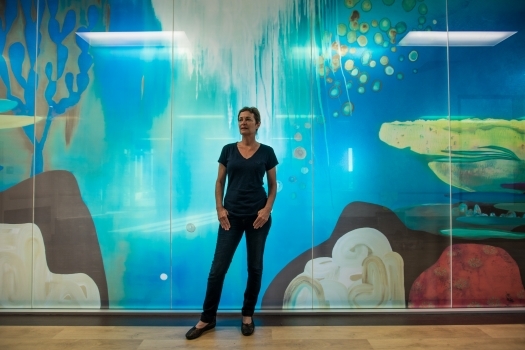 The patients who lived in these spaces for up to six months were likely to be traumatised and under stress, so the artwork offers a calming influence. 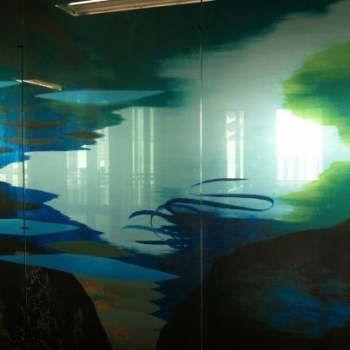 To connect these wards with each other, three of the paintings were also reproduced as large-scale DigiGlass walls between communal dining/lounge areas and corridors. These beautiful, semi-transparent glass walls both provide a sense of connection to other spaces in the Centre and ensure visual privacy.